Login to the Kiddo app. Tell the app about your child; enter age, gender, height, and weight. Turn on Bluetooth, and then sync the Kiddo with your smartphone. Identify healthy habits you want your child to adopt and select appropriate goals. It’s just like programming your breadmaker! Except…it’s your kid. Log the foods your child eats. Using your child’s actual activity levels, the Kiddo app compares consumed calories against those burned through exercisse and recommends appropriate activities to help them maintain a healthy weight. And just how healthy is it to obsess over a child’s caloric intake? How healthy is it for childhood activity to be framed in terms of weight loss? How healthy is it for parents to assume this kind of hospital-like monitoring and prescribing is just what normal parents do? 45 Responses to Now You Can Monitor Every Calorie Your Child Eats or Burns! Shoot me now. No, shoot the inventor of this app. My God! What about the harm that the electro-magnetic radiation, generated by this device, can do to your precious child? On top of everything else, you’ll get to slap a handcuff . . . err, watch-like device . . . on your child. But wait, there’s more – you can do this with a $130 water bottle to ensure your child is drinking enough. Heck, why is this app meant for just kids? I’d like it for me! If this device was really good, it would know those things already. And you can watch them at every moment, too! Holy crap! This level of control and monitoring has gone completely haywire. I know it sounds dramatic, but are we raising kids who are so measured and monitored that they won’t be able to think for themselves? What about eating too much ice cream and getting sick? Want to know how I learned about portion control? When I was 5 I ate most of a box of Apple Jacks because my parents weren’t up yet. Boy, did I get sick. Never ate more than one normal sized bowl again. When we can’t learn to be in touch with our own bodies and manage our own behavior, we are well and truly on the path to taking charge of our own lives. I’m so mad, I could eat a whole box of Trix! If you wanted to check on your kid’s health and well-being, why not just ask them? Oops. Can’t edit, I meant that when we can’t rely on what our bodies are telling us, we are well and truly on the path to losing control over our lives. At least intelligently so. How does a child ever separate from a parent at this point? That’s essential for healthy development! Look at what education (or, perhaps I should say “education”) is becoming. Same thing. Log every single detail of what kids do all day in school (why do you think one-to-one digital devices are all the rage now?) and build an intricately detailed profile of every kid in the country. The really great thing is that all this data can be uploaded to the government and businesses/marketers. Orwell, Huxley, Bradbury, etc. were all well ahead of their times, but even they could not fathom what we are becoming (have become?). It’s schooling. Nothing to do with education. Right? It’s bad enough we’re micromanaging our every calorie intake, as well as each step we take with our Fitbits, but now our kids? Come on people, lighten up! I find it annoying that at age 43 I now have to long in everything I eat to maintain my weight. I sure as hey am NOT doing it for my five-year-old. She can worry about that crap on her own when she’s 43. About the calorie-tracking app for kids, it’s a stupid idea. Adults can use those kinds of devices (Fitbits, et cetera) if they want to, but imposing it on a child is a great way to set the stage for an eating disorder. Also, as for the interactive water bottle, the ad said that it provides an incentive for kids to drink more water, because most kids prefer juice or pop, but it takes no brains whatsoever to “cheat” by spitting the water out, pouring the water on the ground, or down the sink (because how would the app “know” whether the water was going into a kid’s mouth, or down the drain? ), or even just filling the water bottle with juice or pop (again, how would the app “know” what liquid is in the bottle?) I saw a few five-star reviews for this water bottle on Amazon, but they were all sarcastic. I predict that “Gululu” (which is a stupid name for this stupidly expensive interactive water bottle) is going to die a quiet death fairly quickly. What a GREAT way to create an unhealthy obsession with food and exercise! A parent can neurotically obsess about their child’s food intake every minute of every day! Then mommy can teach little Johnny about purging by vomiting or using enemas! Now this is a GREAT way to ensure several mental illnesses in your child. Nope, nope, nope, and nope. Won’t be using these for myself or my kids. It’s creepy. And I’m not going to get in the habit of talking to inanimate objects as if they were human. I won’t even use things like Siri or Google voice. And I don’t want the thing being how my children learn songs, stories and lullabies. I’m just picturing some device “reading” a book to my kid in a creepy electronic voice while I’m on the other side of the house. Ummm if you actually knew EVERYTHING your kids ate in a day why would you even need this? Moreover, for the intake to be truly accurate, one would think you would have to be with your child the entire day! Some people must have way too much time on their hands! Sounds like a good way to plant the seed of future food issues. Why not just fill the fridge with good food and teach them why good food is…well, good for you. That is a horrible idea. You do not need to track your child’s calories or obsess over things. That is where unhealthy body image and eating disorders can come from. All you should do to keep your child healthy, is cook healthy meals for them, allow treats in moderation, and let them play outside and be active. I used to be so anxious all the time about whether my fussy eater was getting enough, but that doesn’t work, things have been a lot better since I stopped stressing over it, she is active, and she grows, so she must be getting enough, and that was without an app for it. All these apps do, is cause parents to worry and stop them from enjoying watching their child grow up. If you get obsessive watching the app that monitors their calorie intake, or a special high tech onesie that monitors their temperature and heartbeat, or a diaper that sends an analysis of the contents to your phone, every little thing becomes a problem and reason to worry. Then you waste time visiting doctors and stuff and worrying there is something seriously wrong only to be told that there is nothing wrong at all and you’ve wasted their time. The only thing you need to monitor your child’s health (unless your child has a medical condition that requires extra monitoring, which will be advised by your doctor), is your own brain and senses. 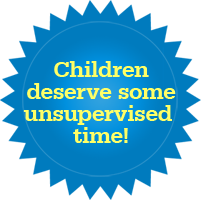 If your child is active, growing, and behaving as they usually do, and look perfectly well, they are most likely fine. It’s called my grocery bill. I can see what they eat because I buy it and they eat It! Gallons of milk, gone with a teenage boy. 13 year-old who wants to be vegetarian eats super expensive mangos and pomegranates! Youngest wants to be on chopped junior and bakes crepes and meringues that are completely amazing. My kids love food. They are adventurous eaters and also highly active. We don’t need OCD or eating disorders, just cheaper bills for healthy produce! It’s not clear whether this is intended as a niche product… for people who need it, such as, say, diabetics, or a general product. That makes a HUGE difference. Guess I’m just a terrible parent because I don’t care that much. Even if my kids were younger I wouldn’t care that much. They eat food I prepare or at least bring into the house. On the whole it’s mostly good stuff. The big problem with this device is that the “calories burned through exercise” number is a lie. The only reliable device for measuring a person’s calorie expenditure is a room-sized calorimeter, of the sort you might find in a research hospital, although an oxygen-uptake sensor can come fairly close. These things? If you’re lucky, they’re within a factor of 2 or so. If you actually try using one to adjust your eating habits, you’re likely to wind up significantly overweight or underweight. Finally, an app that can fat shame my kids for me when I’m at work. I just read the bit about sharing with other caregivers. So I exchange fret messages with the sitter or Husband or Grandma all day? I think this app was probably invented for the same reason that Smart Diapers, Owlet monitors, Fever Scouts, and all of these other monitoring devices did–as a means of monitoring medically fragile children. 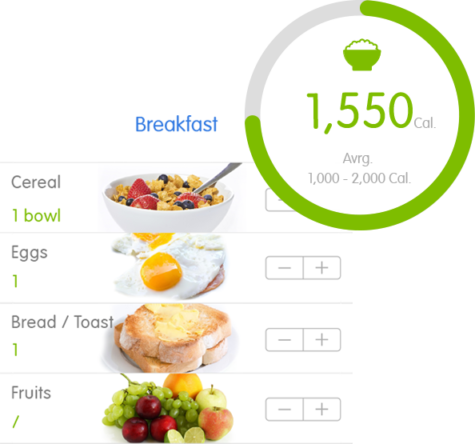 For a child with, say, Prader-Willi Syndrome, or binge-eating disorder (or anorexia or bulimia, on the other end of the spectrum), a calorie-tracking app might make sense. But, for a child who doesn’t already have an eating disorder of some kind, that would warrant the use of such an app, I can see the app playing a part in causing the child to develop an eating disorder. I say “playing a part,” because it doesn’t take an app to cause an eating disorder–they existed long before the app did, and they’ll exist long afterwards. The real cause behind a supposedly “app-induced” eating disorder, would be the pushy parent wanting to monitor their child’s eating and exercise in minute detail. The app is immaterial–the parent could just as easily cause their child to develop an eating disorder by forcing them to keep a food and exercise journal in paper form, and share it with them, or through mandatory weigh-ins, forced diet and exercise, chasing them around the house with a scale (which can even be analog! ), or any number of other “low-tech” methods. You don’t need an app for that. If you purchase this app you need to ask yourself some good hard questions. 2. Are you trying to live your life again through your child? I.E. You WANT to watch every calorie on yourself but you don’t want to because you like food and rest too much. Therefore it’s easier to be a tyrant to your child instead. This is a product that I would consider getting for myself (to monitor my own intake) but I would NOT force it onto my children. I believe anyone that would is mentally disturbed. I love data. I have a Fitbit for myself, and I do log everything I eat. If you can maintain the habit, it’s actually a very good way to monitor your own health. But I can’t imagine doing that to my kids. Even as an adult, I would hate having someone ELSE trying to monitor my food and activity for me! What a way to set kids up for shame, guilt, and resentment. NOT a way to encourage them to WANT to be healthy!!! Kids should be encouraged to exercise by going outside to play, and encouraged to eat healthy by providing them with yummy, healthy foods (and not keeping a lot of junk food in the house). It’s not hard. I keep a whole shelf of fresh food in my pantry, that my kids are allowed to eat whenever they want. And they always want it! But we only buy enough “snacks” (like chips or cookies) to eat once a day. Anything more than that, they have to buy it themselves. And I model healthy eating for them. They know I count calories, but I never say I’m “dieting” or trying to lose weight. I tell them I’m keeping track to make sure I eat the right amount to stay healthy. What if your kid is a lazy fatass? I loved everyone’s comments on this topic, except delurking’s. I could totally see this app being appropriate in a hospital setting but certainly not for the average kid. If you’re feeding your kid healthy food at home, even if they have the occasional treat (I usually try to reserve those for going out – prefer not to have them in the house), as long as they’re living an active lifestyle by getting outdoors – which is what free-range kids is all about – there is absolutely no need for such an inane device. Lazy kids are a symptom of lazy parents. Similarly, neurotic kids are a symptom of neurotic parents. Kids take after their parents. I’m surprised you didn’t learn this in Parenting 101. Come on Vicki, admit it, you laughed. Regardless, every kid’s iPhone already does what this gadget does (and it tracks mindfulness, too! Omm! ), so the outrage is a little late. “What about eating too much ice cream and getting sick? Arrest the parents for child endangerement and put the child in foster care, obviously. I’m not sure. Let me ask my mother. The major glaring flaw in this thing is that children’s weight is supposed to go up faster than their height at certain points in their lives. First they fill out, then they shoot up, then they repeat the cycle. Their appetites reflect this cycle as well. Nearly every child will be “too hungry” and want to eat “too much” at times. The most dramatic filling-out-and-eating-lots point for girls generally happens in the late tweens/early teens; it’s no coincidence that this is also the time when eating disorders tend to develop. And of course, the diet industry won’t talk about this completely normal height-weight-appetite cycle because we’re all supposed to be slender at all times of our lives FOREVER. I like some of the comments over at the Amazon page posted by @Nicole about this thing. Satirical for sure…. You know for $130, I can buy a bike for the child to go outside and play to encourage activity…..
People are making a generation of data freaks who will obsess about numbers only and not life…..
With Emily on this. It would be brilliant for mefically fragile kids, but why do they keep bringing them into the regular setting? If Midge were still a kid I would absolutely love this, as she needs to gain weight, but it would be completely unnecessary for the other two and any normal kid. Another thing–the parent has to manually log everything the child eats, so it takes no brains whatsoever for the child to “cheat.” The child could buy a chocolate bar from the variety mart near the school (because school vending machines have switched over to quasi-healthy snacks now), sneak those despised Brussel Sprouts to the dog at the dinner table, and keep doing this every day, without anyone being the wiser. Then, the parents would keep logging little Jayden’s (supposed) food intake into the Kiddo app, but it wouldn’t be accurate. It’s really no different from being forced to keep a paper food journal to be shared with a supervising parent, and lying on that.